I love Stephen King. I do. He has been one of the few authors in my lifetime that have inspired me to do what I do. I am currently reading his entire library of work chronologically, and I just find his writing fascinating. 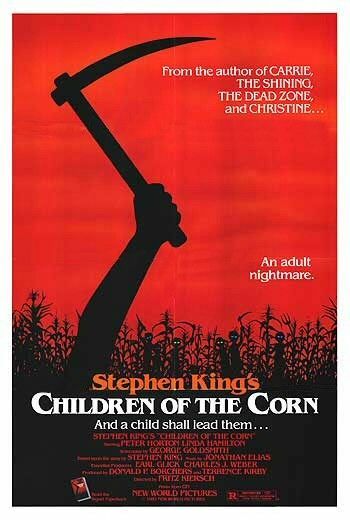 I was a big fan of the short story Children of the Corn from his collection Night Shift. It was terrifying at the core. The story, about a bunch of children in the town of Gatlin who turn on their parents and slaughter the adults of the town before forming their own society to serve the mythical deity He Who Walks Behind the Rows, is just so eerie and yet told in such a way that it becomes believable, which in turn makes it more horrifying. The film version is an inverse. It tells the story in such a way that it becomes wholly unrealistic and sometimes laughable. It stars Peter Horton (TV’s thirtysomething, The Baby-Sitters Club) as Burt and Linda Hamilton (Terminator 2: Judgment Day, Dante’s Peak) as his wife Vicky. 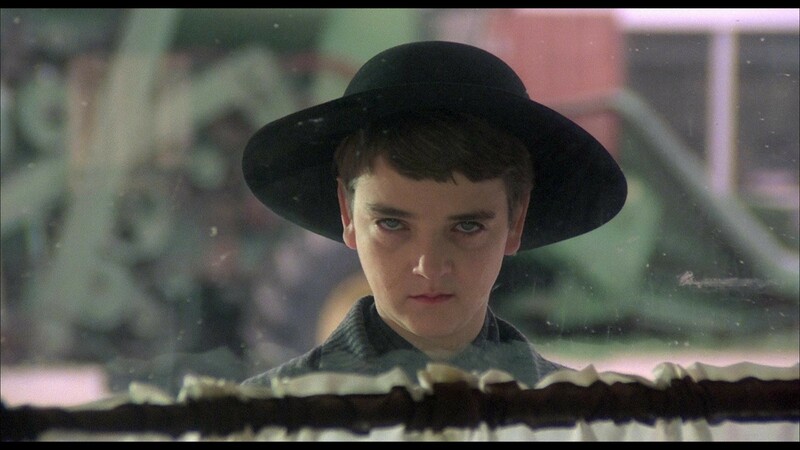 Of the children performing, the only two who warrant any such fear are Isaac (John Franklin, The Addams Family, Python) and his servant Malachai (Courtney Gains, Back to the Future, Faster). Horton’s portrayal of Burt is totally fallable and silly. He comes across as not even believing himself when he reads lines. Hamilton as well is given next to nothing in terms of character arc (her entire character stripped down to being Daphne in any episode of Scooby-Doo). The children cannot control their scenes and the film ultimately falls apart before any supernatural elements, like a rotoscoped demonic shade deity, enter the field. It is no wonder that director Fritz Kiersch and screenwriter George Goldsmith have gotten nothing back from Hollywood, but that’s what you get when you completely throw out the original script from the source material’s creator. It is disappointing to see such terrific source material mangled in such a way, but the film is just not all that good. Well, I guess when compared to the sequels…Oscar anyone?